1. 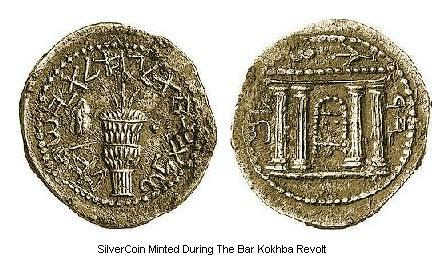 Shimon bar Kokhba led a Jewish revolt against the Roman Empire in the years 132-135 CE. 2. Let’s start with his name. We know his first name, Shimon, from coins minted at the time of the revolt. Likely, his surname was initially Bar Koseva. It is thought that this was changed, perhaps by Rabbi Akiva, to bar Kokhba at the time of the revolt. Messianic hopes were high then, and it was said he descended, as was required by Jewish tradition, from the Davidic line. The reconfigured name read “son of a star,” a reference to the prophecy in Numbers 24:17, “there shall step forth a star out of Jacob, and a scepter shall rise out of Israel, and shall smite through the corners of Moab.” Later, when the revolt went down to stupendous failure, he was called bar Koziba, meaning “son of disappointment.” Each change required the substitution of just one letter. 3. For three years he led the revolt as warrior and as executive (Nasi, or prince) of an independent Jewish state. As a leader he was strict and punctilious. It is said that he required his soldiers to cut of a finger as a kind of initiation rite. When he went into battle, he is said to have asked God for neither assistance nor discouragement, saying, “There is no need for You to assist us, but do not embarrass us either.” Letters written in his name during the war show not only his focus on the smallest issues of camp life, but also on issues relating to Jewish observance, including Shabbat, tithes and holidays. 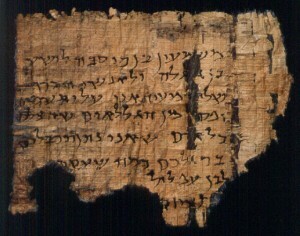 Archaeologist Yigael Yadin says that he also tried to revive Hebrew (Aramaic was the language spoken at that time) as the official language of his realm. 4. The rebellion broke out when the emperor Hadrian, who had initially been somewhat welcoming to the Jews, took increasingly hard measures against them, appointing rulers who ravaged the population, interdicting religious practices such as circumcision, and starting to build a temple to Jupiter on the site of the destroyed Temple. 6. More Roman legions were dispatched to Judea, and rather than waging open war, they set siege to the Jewish fortresses and villages, utilizing a scorched-earth policy that weakened the bodies and the will of the inhabitants. The tide of war turned, yet the Romans continued to take heavy casualties, too. 7. Bar Kokhba’s headquarters in Bethar also housed the Sanhedrin. It was the vital center of the nation and a military stronghold strategically located on a mountain ridge overlooking the road to Jerusalem. Here, after a bitter siege, the final battle was fought. When the Romans conquered the stronghold, they killed every Jew there, sparing just one youth, Simeon ben Gamliel. 8. It was reported by the Roman consul and historian Cassius Dio (135-236 CE) that 580,000 Jews were killed in the war, not counting those who died of famine, disease and fire. More were sold into slavery. The Romans plowed Jerusalem with a yoke of oxen, then built on its site the city of Aelia Capitolina, where Jews were not permitted. Judea, Galilee and Samaria were reconstituted as a single province, Syria Palaestina. Persecution of the Jews, and prohibition of religious practices, continued at an even higher pitch until the end of Hadrian’s reign in 138 CE. 9. Bar Kokhba has been the subject of some twenty works of music and literature over the last century and a half, in Hebrew, Yiddish, English, French, Hungarian and Danish. 10. Why Lag B’Omer? In modern times, Zionism connected Bar Kokhba with heroism in the face of overwhelming odds, and today in Israel the holiday continues to symbolize the Jewish fighting spirit. 1. He was born in March 1893 in Volkovysk, Byellorussia. When he was sixteen, his family made aliyah. He graduated with the first class of Herzliyah High School. 2. He went to settle in Kibbutz Degania Aleph, working there and organizing agricultural training courses. But upon the death of his father, he returned to run the family flour mill in Jaffa. When World War I came, he was ordered by the Turks to operate the flour mill on Shabbat. He refused, and was publicly whipped for it. 4. He opposed Jewish enlistment in the Turkish Army. When, late in the war, the British permitted formation of a Jewish Legion, he headed up the volunteers for it. 5. He was active in the labor party Ahdut Ha-Avodah, but he is best known for his work in creating a Jewish military presence. Golomb believed that all Jews must be involved in their own defense. After the war, he was active in founding and organizing the Haganah. He served on its command council and in 1920 was involved in sending aid to the defenders of Tel Hai. 6. From 1922-24, he was abroad – Vienna, Berlin, Paris – purchasing arms for the Haganah and organizing pioneer youth groups. 7. Through the 1930s, Golomb largely directed the organization and financing of illegal immigration of Jews to Palestine. During the riots of 1936-9, he was one of the initiators of the field units that confronted Arab terrorists. He supported defense against Arab attacks, but not indiscriminate attacks on Arab populations. These punitive actions he opposed. 8. Like most of his compatriots, he supported the British in World War II without ever forgetting the need to remove the mandate. He was a founder of the Palmach – the elite unit of the Haganah – and trained many future commanders of the IDF. 9. 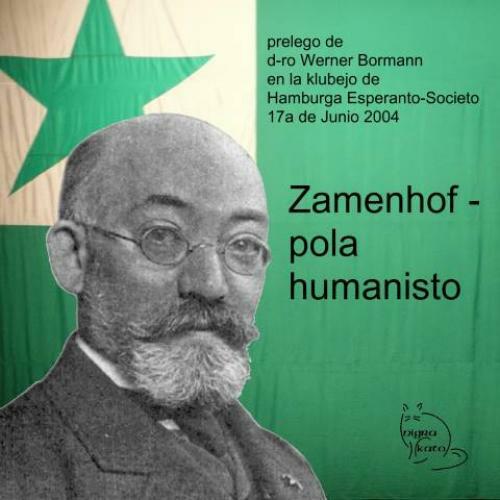 He authored “The History of Jewish Self-Defence in Palestine, 1878-1921,” a pamphlet that is currently (May 2014) up for bid at Delcampe.net. 10. He died in June 1945. His home on Rothschild Street in Tel Aviv, where the command council typically met, is now Beit Eliyahu Golomb, the museum of the Haganah. His apartments have been restored, and the museum is adjacent. In Haifa, you’ll find Eliyahu Golomb Street running southeastward from the Bahai Shrine. 1. Shaul Pinchas Rabinovitch, known as SheFeR, was born in Lithuania in 1845. He became a Zionist, one of the leading forces in Hovevei Zion in the Russian Empire. 2. He was active in Hebrew publication, writing for such newspapers as HaMagid and HaTsefira. 3. He published a collective work, Knesset Yisroel – the Gathering of Israel. 4. He translated Graetz’s history of the Jews [see my blog post of July 13, 2013] into Hebrew, making significant changes to remove anything that shed a poor light on Israel. 5. He died in Frankfurt in 1910. 6. David Bloch (also known as David Bloch-Blumenfeld) was born Efraim Blumenfeld in Grodno in 1884. He was active in Poalei Zion, helping establish labor offices and workers’ settlements. 7. He was a distinguished part of the second aliyah, a founding member of both Ahdut HaAvodah (1919) and Histradut (1920). 8. In 1923, he became Deputy Mayor of Tel Aviv; he served as the city’s mayor from 1925-7. 9. He died in 1947. Moshav Dovev in the upper Galilee was named for him (1963). In Tel Aviv, you’ll find Shefer Street in Neve Tzedek running eastward from HaKarmel just north of Kalischer. Further north, you’ll find Bloch running northeastward from Ben Gurion to Arlosoroff.